One of the biggest issues faced in homes today is storage, but if a simple set of shelves isn’t quite doing it for you, why not experiment with something a little more exciting? 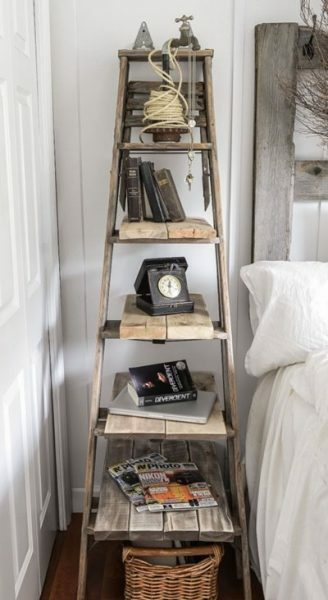 When looking for an item to salvage you can’t go wrong with a beautiful rustic wooden painters ladder – The perfect item to create a warm and rustic look in any home. Finding the right ladder can be a little tricky and may require some forethought, but once you’ve found the perfect item the hardest part is done! Look out for ladders with old paint splashes that tell the tales of a life once lived, or have fun with the kids and create your own. Requiring little to no work to bring back to life, a quick once over with a fine grit sand paper will provide the perfect DIY activity on a Sunday afternoon and once completed your ladder is ready to reinvent any room. Use a 80-120 grit sand paper to achieve the best results without removing too much of your ladders unique markings. 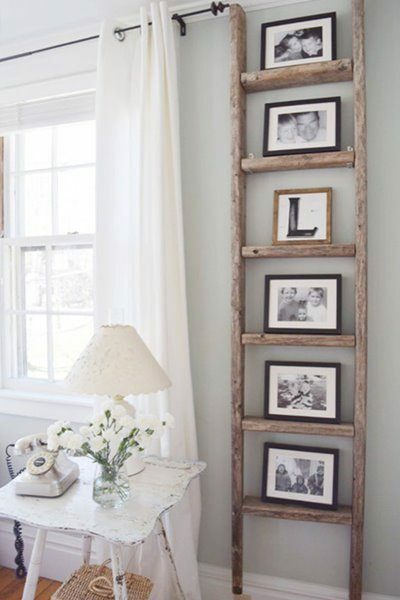 Propping your ladder up against an empty corner of your room can be the simple solution you were seeking. Complete this with your favourite collection of books, records, or indoor plants. If you are no stranger to a little DIY on the weekend, you can fix your ladder to a wall, horizontally or vertically, creating the perfect place for any clutter and ornaments alike. Be sure to use the correct wall plugs and screws for a secure fitting, ask your local DIY store for help if needed. If all the drilling and sanding doesn’t quite quench your thirst, why not give your ladder an extra pop with a coat of paint in a bright and bold colour that compliments your room. 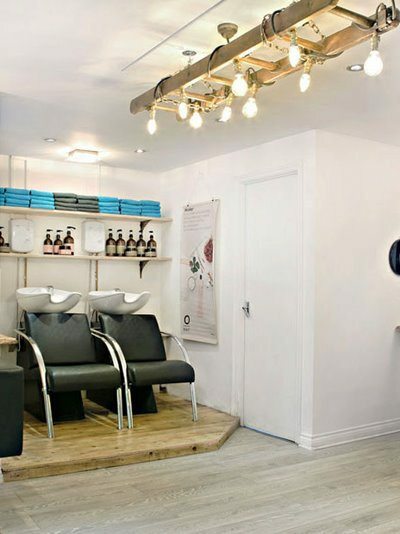 For those of you looking for a little more than storage, turn to the professionals to help create a beautiful bespoke hanging light from your ladder. Complete with unique LED Edison bulbs that look great and save money on your electricity bill! If you’re interested in having something similar to this made for your home, click here. 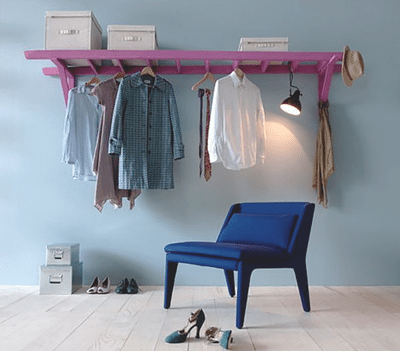 There really is no end to the fun ways to rework a wooden ladder, with many supporting this trend by creating inventive shelving, clothes rails, room dividers and more! Once all your work is done, your room is a little less cluttered and a lot more stylish, sit back and bask upon your fantastic salvage savvy solution. For further storage solution inspiration, check out our Pinterest board here.